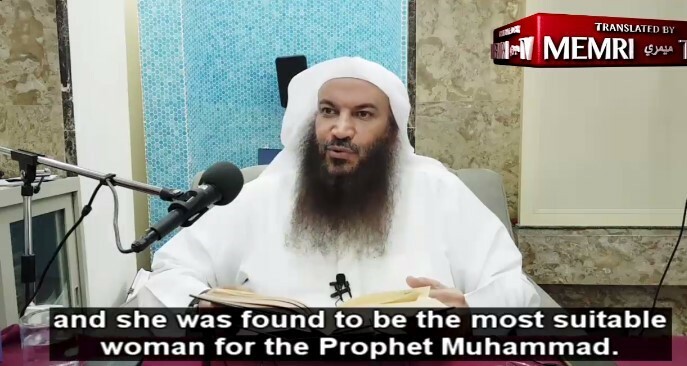 On November 7, Kuwaiti cleric Sheikh Saalim Bin Sa’d At-Taweel published a lecture on his official YouTube channel explaining the concept of jihad. 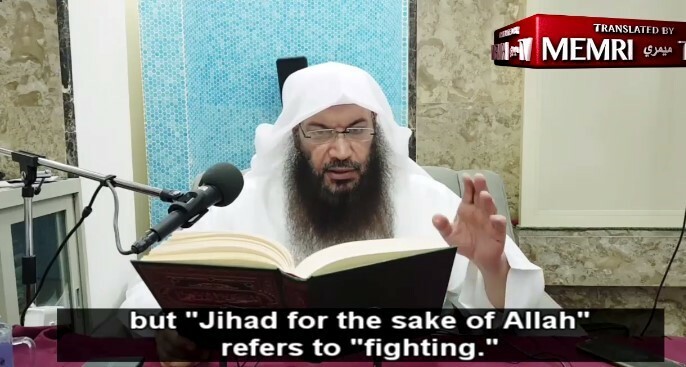 Sheikh At-Taweel said that while jihad has different meanings, “jihad for the sake of Allah” means fighting infidels in order to spread Islam. He further explained that slavery is part of Islam and that Muslims should not try to deny this. In fact, he said, slavery is “one of the virtues of Islam” because it provides infidels with an opportunity to become Muslims and avoid the Hellfire. Over the past decade, Sheikh At-Taweel has visited the U.S. several times, and was guest lecturer in mosques in Worcester, Massachusetts, Modesto, California, New York, and elsewhere. In 2016, he participated in the 3rd Annual U.K. National Knowledge Conference. “Indeed, [Jihad] is the pinnacle of Islam. If Islam were a camel, Jihad for the sake of Allah would be the top of its hump. The Prophet Muhammad called it the pinnacle of Islam. It is undoubtedly among the best forms of worship. It involves the sacrifice of one’s soul and one’s money, and great effort merits great reward. 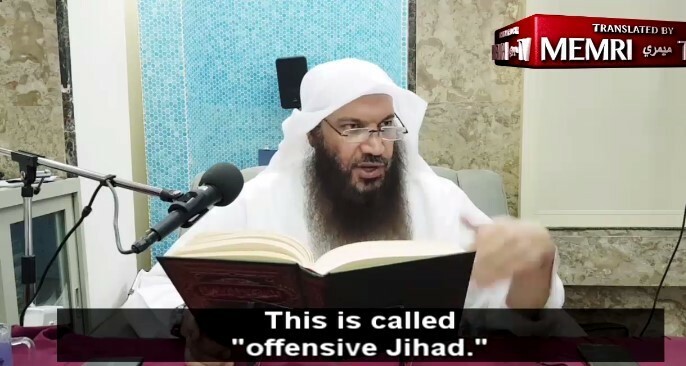 “Yes, there is defensive Jihad and offensive Jihad. Defensive Jihad means defending yourself. 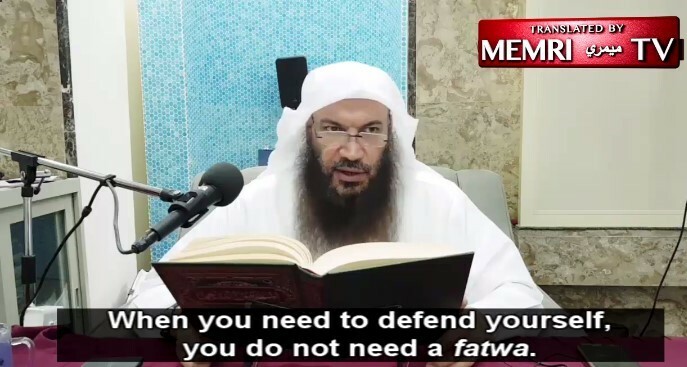 When you need to defend yourself, you do not need a fatwa. When you are attacked, you are allowed to defend yourself any way you can. “Waging offensive Jihad means attacking the infidels in order to conquer their countries and bring them into the fold of Islam. “The reason we fight is in order to spread Islam. Let’s say there is someone who prevents you from spreading Islam to all the infidels, all people on Earth, who were created by Allah so that they could worship Him. You want to spread your religion both to jinns and to people. “If somebody is preventing you from doing so, you may fight him, so that you can spread Islam. 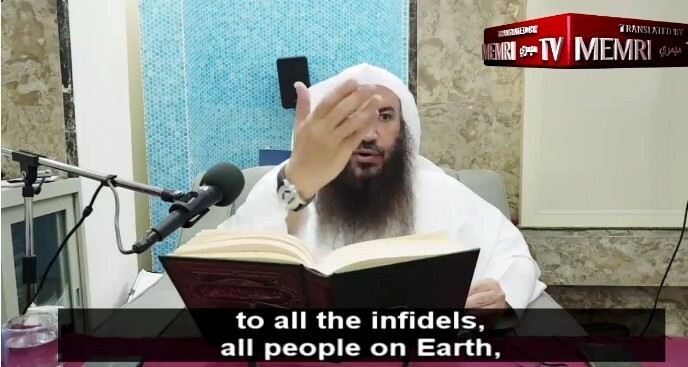 “We do not do this in order to take the money of [the infidels], in order to expand the Muslim lands, or in order to gain control over them… No. We fight them so that they will become Muslims. “One of the virtues of Islam is that the women and children [of the enemy] are not killed. They are taken as slaves, and they are treated well. 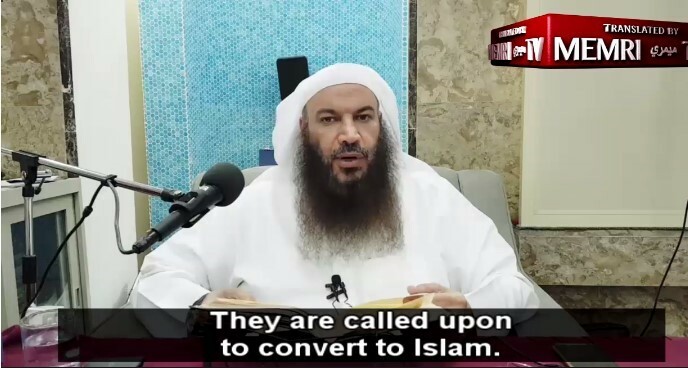 They are called upon to convert to Islam. How many Muslim ulema were white slaves, who were put to use by Allah as Islamic scholars. If they had died as infidels, they would have been condemned to eternal Hellfire. Instead, they were taken captive. “The Prophet Muhammad took a Jewish woman and married her, and she became the Mother of the Believers. Imagine that! She had been Jewish before. “Had she died believing in her distorted Judaism, she would have gone to Hell. Instead, she was taken captive, and she was found to be the most suitable woman for the Prophet Muhammad. and the Americans ( the infidels) went to liberate Kuwait from Sadaam. They should get Muslim males to wear the Niqab. At least we would not have to look at their faces. … do you really think that your false “allah” (aka muhammad) could even know you exist ! … do you really think that your false “allah” (aka muhammad) could even care you exist ! 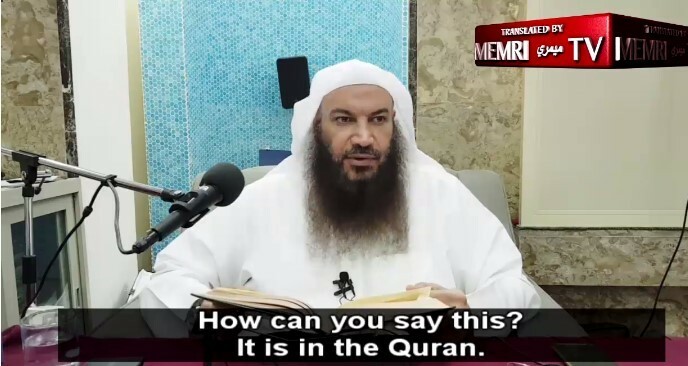 … as if your false “allah” (aka muhammad) gives a flyin’ (set of ) – about you or it ! … you are of no consquence to any imagined “allah” (aka muhammad) !!! … every islam is a vile putrid malevolent deceitful criminal ! … every islam is a carrier of the islam mind/soul/spirit virus !! … every islam is a (by personal choice) sickened plague carrier !!! At-Taweel – you don’t have to show ’em !